This tour will give you a great opportunity to meet the gorillas in their natural habitat the first wildlife experience of a lifetime; explore the giant crater of Nyiragongo above its violently red Lava Lake; Visit Goma; explore Congolese culture and meet local people. Day3: Climb NyiragongoVolcanoin VNP At 8 o’clock, after breakfast, have introduction on the activities of this day. Go for shopping; then transfer to Kibati park station. After a briefing with park rangers, start Hiking Nyiragongo volcano(climb takes about 4 to 5 hours). Hike through an impressive rain forest, the climb continues on the lava eruption fissure until 2002, reach the summit. Have the whole evening to enjoy the view from the crater and watch the lava inside. Overnight in shelter at the crater. 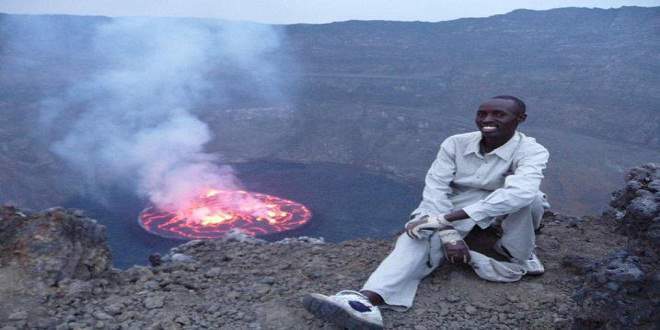 Day4:Descend from Nyiragongo Volcano – Goma Sightseeing Tours After breakfast, descend down from Nyiragongo, meet our driver to Kibati then go for Goma Sightseeing Tours which gives you an insight of the 2002 eruption that destroyed a large part of Goma town. Return to your hotel.The tour can bigin and end in Goma;Gisenyi/Rwanda or Kisoro/Uganda.